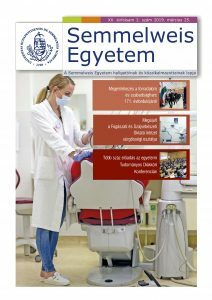 Dent Neurological Institute and Roswell Park Cancer Institute has entered into an agreement with the four Hungarian medical universities that teach medicine to provide 12 week credit-bearing senior electives to medical students who are in their 6th year of education (apply for the program during 5th year). This program is sponsored and managed by the Hungarian Medical Association of America. The purpose of the Program is to facilitate the exchange of students as well as experience and knowledge between the involved medical universities. With this program the HMAA contributes and provides broad medical knowledge. The program is open to students of all four Hungarian medical universities. Medical students who are in their 5th year of education at the beginning of September 2018 or those who are in their 6th year of education at the beginning of September 2018 and plan to do their 6th year in two units, so that the second unit would start from September 2019. Medical students with Hungarian heritage may apply from both the Hungarian and English language programs. Only HMAA Hungary Chapter members can apply for the exchange program (membership is free for medical students, further information visit the Hungary Chapter page). Deadline: applications must be submitted online by January 15, 2019.